There are times when you can read a paragraph and wonder what makes it so dull. What’s wrong with it? And how could you breathe a bit of life into it? One simple thing you can do is count the nouns and the verbs. 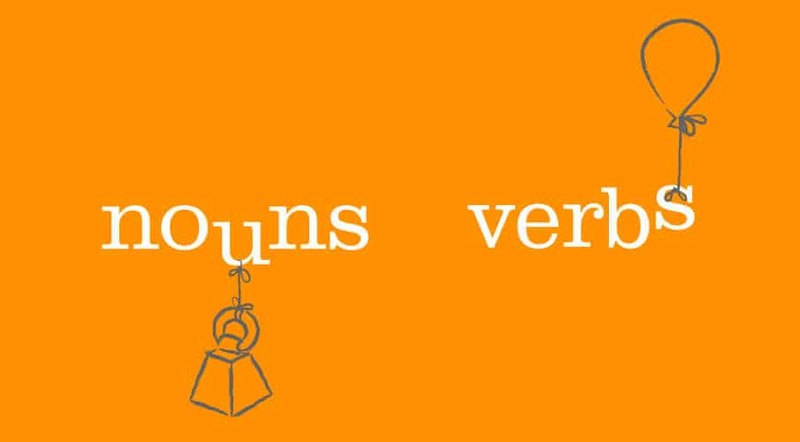 If you find more nouns (things) than verbs (doing words) – particularly nouns that have come from verbs in the first place – that’s a clue how to fix it. Why say ‘consideration has been given’, for example, when you could say ‘we’ve considered’? We’ve been running workshops recently with a company that holds the international noun to verb ratio award. (Well, it probably would if one existed. Perhaps we should launch it.) Once we pointed out the problem, their writers set about fixing it and their dense, dull paragraphs perked up. The problem is that millions of English speakers don’t know what nouns and verbs are, or how to recognize them. So how does it work? One option is an analysis, a noun and verb count. If the result is more nouns than verbs – particularly the formation of nouns from verbs – there is a solution to the problem. To make this ‘noun-heavy’, we changed the verb ‘analyse’ to the noun ‘analysis’. Where we used ‘count’ as a verb we used it as a noun. And instead of writing about finding, we wrote about the result. We used ‘formation’ and ‘solution’, nouns related to the verbs ‘to form’ and ‘to fix.